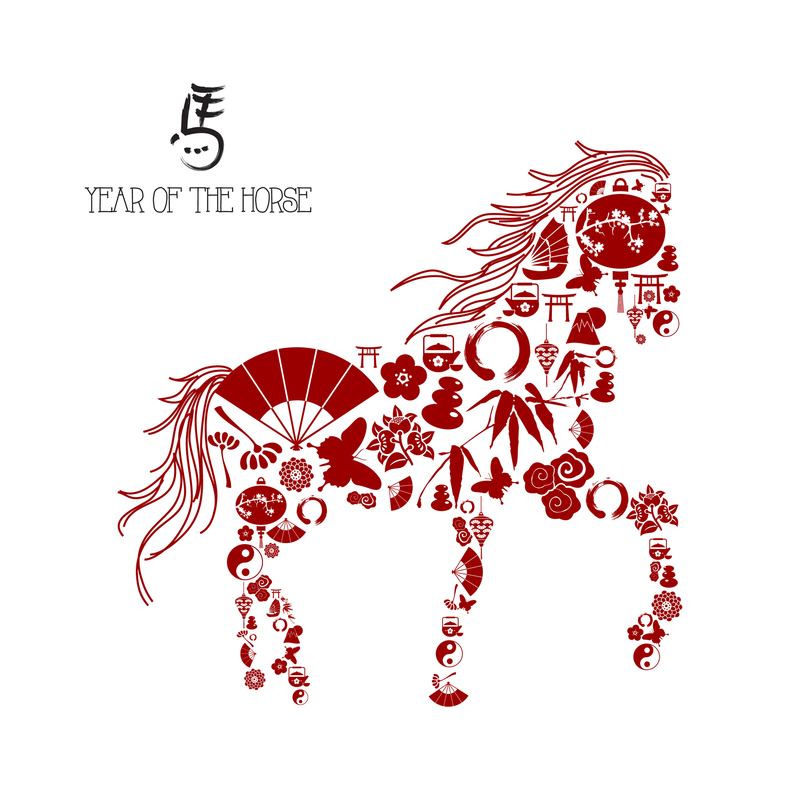 This year, 2014, is the year of the Horse in Chinese culture. According to legend, people born in the Horse years (2014,2002,1990,1978,1966,1954,1942,1930, 1918 and 1906) are smart, cheerful and fun-loving. They enjoy mixing it up with lots of people. It is also said that people born during the Horse Years rebel against rules. Regardless, you might dismiss Chinese legend as hogwash. Well, try this. I was born in the Year of the Rooster. The Chinese believe the rooster exemplifies fidelity and punctuality. That’s me: loyal and on time, every time! The person born during the year of the rooster is known to be an early riser. That’s me, too! We “Roosterians” are thinkers who are honest, ambitious and warm-hearted; we display a quick mind and we are always on the go (got that right!). On the downside, we are said to be eccentric and far too outspoken. Those of you who have followed my writing are beginning to believe in this Chinese New Year thing now, right? While I believe in Chinese legend, I think the Chinese got it wrong this year. Allow me to explain. Very recently I was invited by my friend, Mary Kay, to meet friends of hers who graduated from my college, Marymount, Tarrytown, NY. I always enjoy my time with Mary Kay so I readily accepted the invite. The conversation flowed easily as we relied on our collective memory bites to recall the names of our favorite Marymount professors. All of a sudden one of the women came out of the bathroom giggling, whispered to Mary Kay, and the two of them ended up in the bathroom laughing out loud. Then the ladies included us in on the humor. Apparently, just as Ann began to sit down on the toilet she noted a FROG in the toilet. Yes, you read that right, a FROG!!!!! Don’t ask, I have no idea how the silly thing found its way to Mary Kay’s toilet bowl, but there it was! We all laughed at the sight of the odd fellow with the big hands desperately clinging to the edge of the toilet bowl, desperate for a way out!!! I couldn’t help but think how different Ann and I are. As Ann explained the story, she closed the door, approached the toilet, and looked into the toilet bowl. She never sat down. I, however, never do that. I am always in a hurry with eighteen things on my mind. I would have rushed in, sat without ever looking in the toilet bowl and…and….oh my goodness, this could have been hideous if it had been me. I pictured the frog, with those slimy-looking webbed hands reaching up and grabbing on to me as his only hope of getting out. Oh my goodness, are you getting a visual of how gross this could have been???? Noting that something was clinging to me, I would have risen quickly and panicked. The frog, fearing he would be dropped back into the toilet bowl, would have dug his grip further into me. Fortunately, it wasn’t me; it was Ann, cautious Ann! She was able to handled this unexpected incident by laughing, while I would have run away with the frog holding on to my you-know-what for dear life!!!!! This all happened the first week of 2014, the so-called Chinese Year of the Horse. Year of the Horse? No, I beg to differ. I, Mary Ann O’Neil, declare 2014 the Year of the Frog, A.K.A, the Year of the Unexpected. I like the idea of the new year bringing the unexpected, possibilities that could extend well beyond finding a frog in a toilet bowl. For me, this could mean publishing, more teaching at the University, falling in love…..the possibilities are endless! What could The Year of the Frog mean for you? This entry was posted in Uncategorized and tagged Chinese New Year, Expecting the unexpected., Year of the Horese. Bookmark the permalink. Wow!! What a wonderful column….we loved it. We’re so glad you were here for the frog…I’m looking forward to our next adventure together. After all, it IS The Year of the Frog!